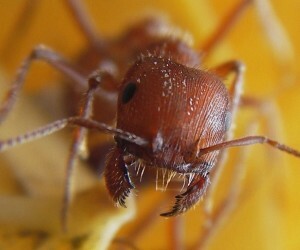 Have Ants Invaded Your Space? Have Ants Made Your Home Theirs? Ants have long been known to ruin picnics and inflict painful bites, but they can also be highly destructive in a home setting. 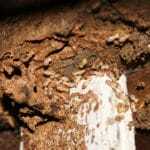 Carpenter ants, for example, can damage woodwork in a home and fire ants can cause pain for the whole family. How can people succeed at ant control? There are several methods of pest control that people can attempt in an attempt to keep ants out of the home. One of the simplest ant control methods is to employ the ant bait trap. While immediately killing all the visible ants violating the home would be satisfying, such an action would not be the smartest ant-killing methods. Ants live in nests, meaning that handful of ants is only a small representative part of a whole. 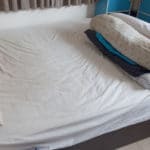 There are different types of ant baits; some take the hotel form that encloses the poisoned food inside a plastic cover while others are meant to be placed on a surface that is popular to ants and left alone. All those using ant baits should be sure to place this poison out of reach of children and pets as it is highly toxic to them as well as ants. If all goes according to plan, the ants will feed on the poisoned food and will take some of that food back to the nest, infecting the other inhabitants and ultimately killing them. Unfortunately, some ant problems go beyond what can be solved with a few bait traps. Fire ant infestations, for example, usually occur outdoors and thus must be dealt with using external methods. One popular fire ant killing method is to douse a fire ant mound with liberal amounts of a liquid insecticide. If there are multiple fire ant mounds, then these should be doused with the poison as well. Lawns can also be canvassed, meaning poisonous granules will be sprinkled on a yard in order to kill all the fire ants. These treatments will need to be employed several times a year and success is not guaranteed. As with the baits, make sure that children and pets maintain a proper distance from a newly treated lawn although the poison will dissipate fairly quickly so as not to be a danger to other family members. 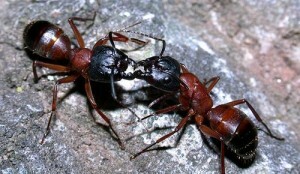 Carpenter ants are another type of ant associated with home infestations. They nest in the wood of a home and feed on whatever food and water sources they can find. People can attempt to starve them out by taking away their food and drink, but killing them off is hard. The only ways to keep them out is to keep trees away from the home and to plug all the holes carpenter ants may be using to gain entry, so keeping them out of the home is not simple. Spraying ant pesticide around the base of a house can be helpful, but even this method does not carry a guarantee of success. In the end, regular pest control may not succeed in eliminating the ant problem. When this happens, people need to get in contact with local pest control agents who will be able to successfully treat an infested home. Some may balk at the cost of local pest control, but the alternative is living with an ant infestation. 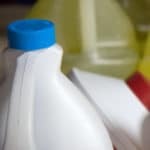 Professionals have access to knowledge and equipment that the average person cannot match; they can often evaluate a situation properly and can thus treat an infested home with the right poison or traps. 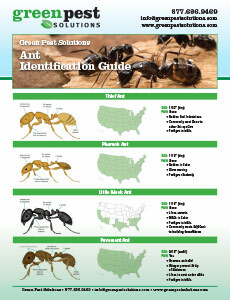 If you need a pest control professional and are located in Philadelphia or the surrounding areas, contact Green Pest Solutions.We are a licensed and insured pest control company and utilize our Green 3 Band Protection System to keep your home free of ants, wasps, mice and all other pest that could become unwanted guests. 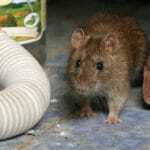 Call us for all your rodent and pest control issues and receive your complimentary in-home inspection today.